The sun beamed down all day to make it the perfect possible day for the first ever Lichfield Cathedral to Tamworth Castle Run. The event set off from Beacon Park, next to Lichfield Cathedral, in beautiful sunshine - and the glorious blue skies continued for the remainder of the 10-mile course, right up until the finishing line in the grounds of the Norman Tamworth Castle. 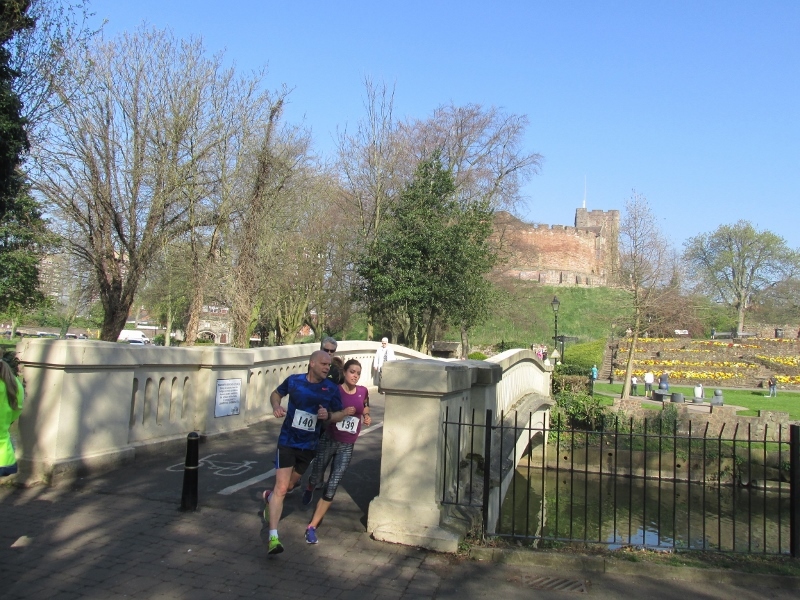 The inaugural Cathedral to Castle Run, which took place on Sunday 9 April, was jointly organised by the four Rotary clubs of Tamworth and Lichfield which have joined forces to help raise thousands of pounds for their various nominated local charities. 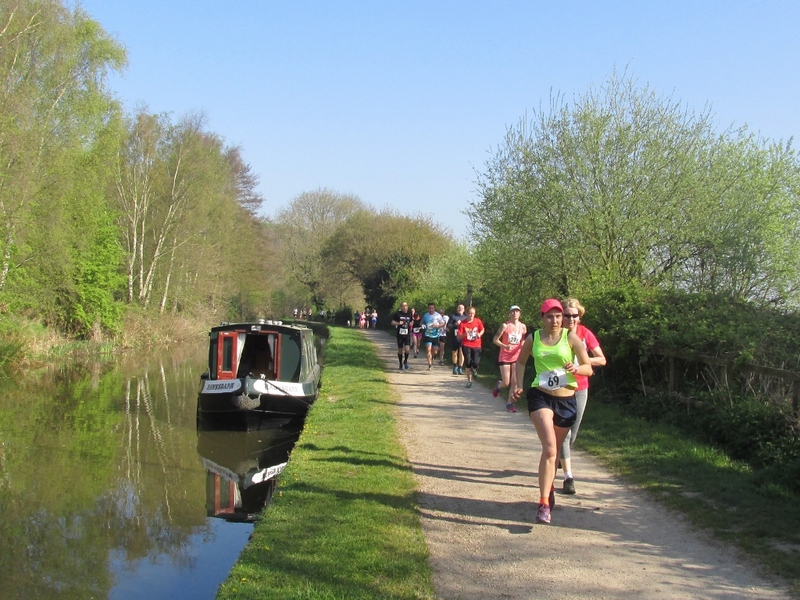 A total of 534 runners set off at 9am from Beacon Park, with many hundreds of spectators at both the start and finish lines, as well as various places along the route, which passed through Whittington and the delightful Hopwas Wood on the outskirts of Tamworth. The event sold out within a week of going on sale as runners and fundraisers eagerly snapped up the opportunity to try out the new multi-terrain course that linked two of Staffordshire's most iconic and historic landmarks. The glorious weather also helped make an even bigger success of the family fun day which took place within Tamworth Castle Grounds to help welcome the runners over the finishing line. 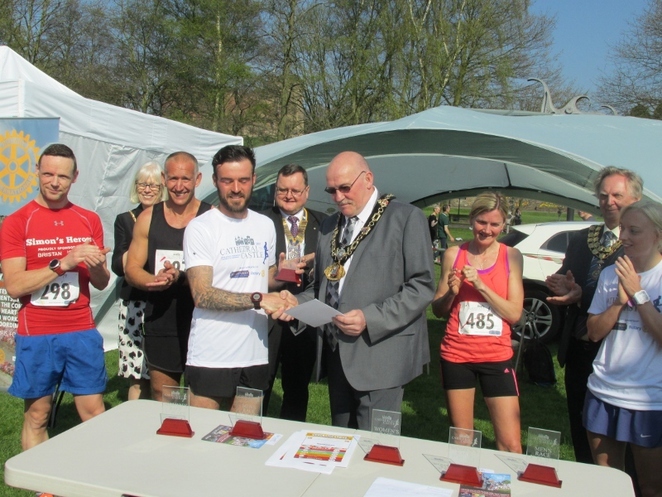 The winner of the Cathedral to Castle Run was Paul Richards from Telford, Shropshire, who was presented with his trophy by the Mayor of Tamworth, Councillor Ken Norchi, after completing the 10-mile course in one hour, one minute and 35 seconds. 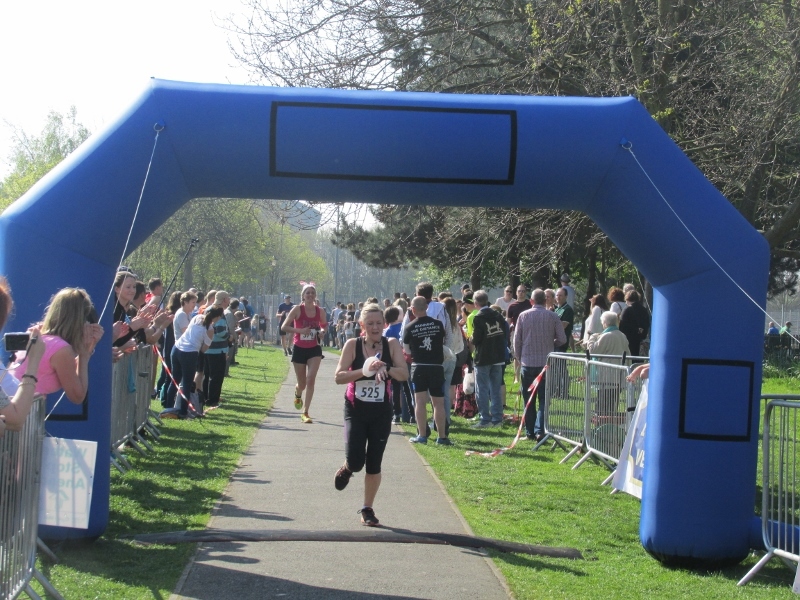 He finished ahead of runner-up Jonathan Rosenbach from Tamworth who came home in a time of 1 hour 3 minutes 6 seconds. 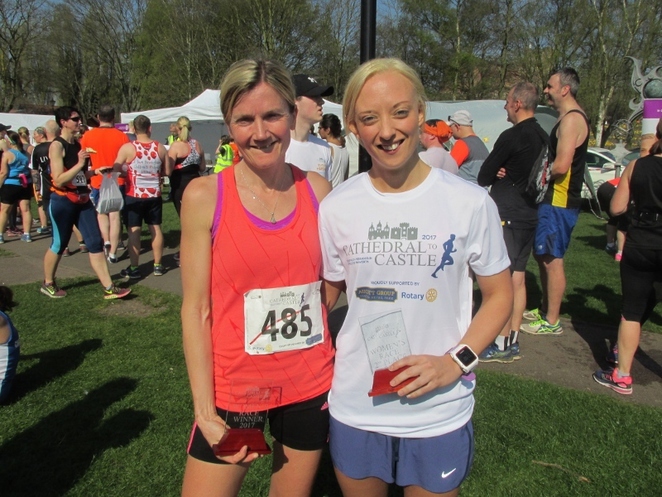 The winner of the separate female race was Debbie Walters from Aldridge, who took just over 1 hour 6 minutes, while her fellow Birchfield Harrier, Lizzie Watters, from Walsall, came second in 1 hour 8 minutes 35 seconds. Debbie was presented with her winning trophy by the Mayor of Lichfield, Councillor Sheelagh James, while both runners-up were presented with prizes by the chairman of Staffordshire County Council. 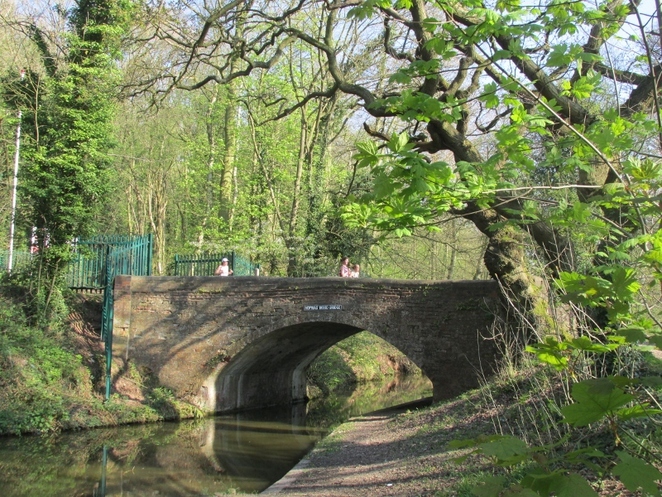 The 10-mile route was carefully mapped out in order to provide as many different types of terrain as possible, including roads, tracks, canal towpaths, Hopwas Wood and Ministry of Defence land at Whittington Barracks. 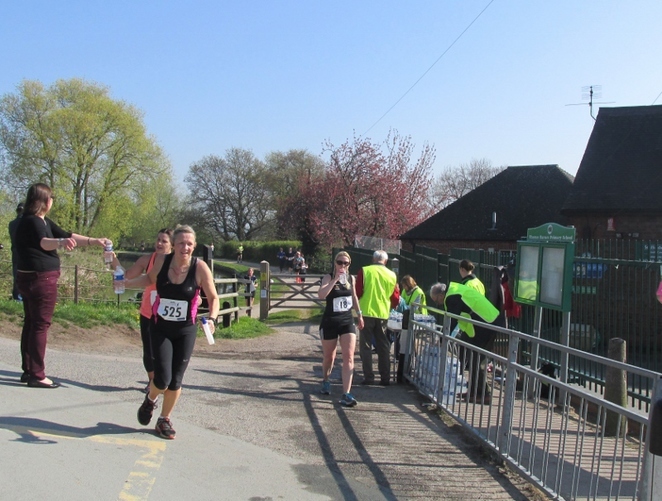 It certainly had the backing of the runners, including Debbie Walters who said: "It was an absolutely fantastic course with a good mixture of road and woodland. And it was lovely that it started and finished in parks. I will certainly do it again." 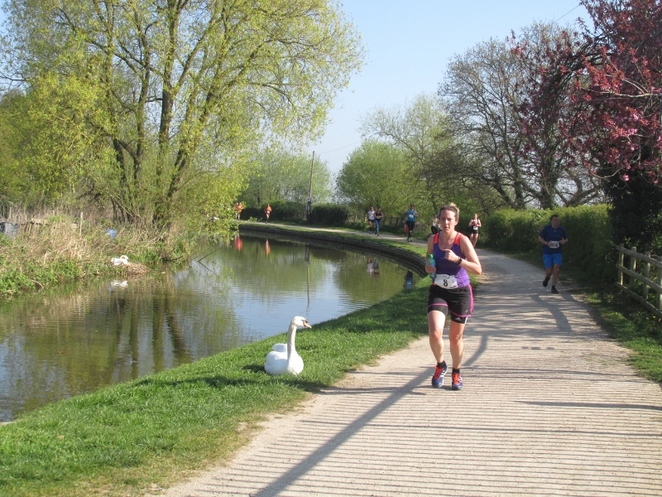 And overall race winner Paul Richards commented afterwards: "It was a very good route. Luckily it was an early start so I managed to get to the finish before it got too warm. It was good to have so much excellent support from people in both Lichfield and Tamworth and along the way." Hundreds of volunteers gave up their time on the day to help with marshalling, registration, manning vital water stations given the sunny weather, as well as at the start and finish lines. The volunteers included Rotarians and their friends and family, scouts, Army cadets and girl guide groups from across the area. 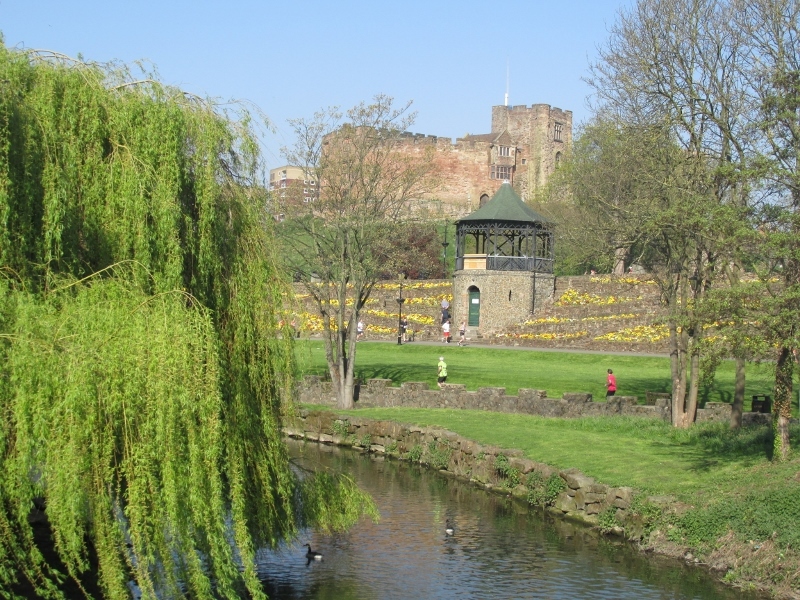 The family fun day entertainment in Tamworth Castle Grounds included fairground rides, a circus, an inflatable bowling alley from Namco Funscape, music and broadcasts from TCR FM, refreshments and a variety of stalls from local businesses, charities and organisations. 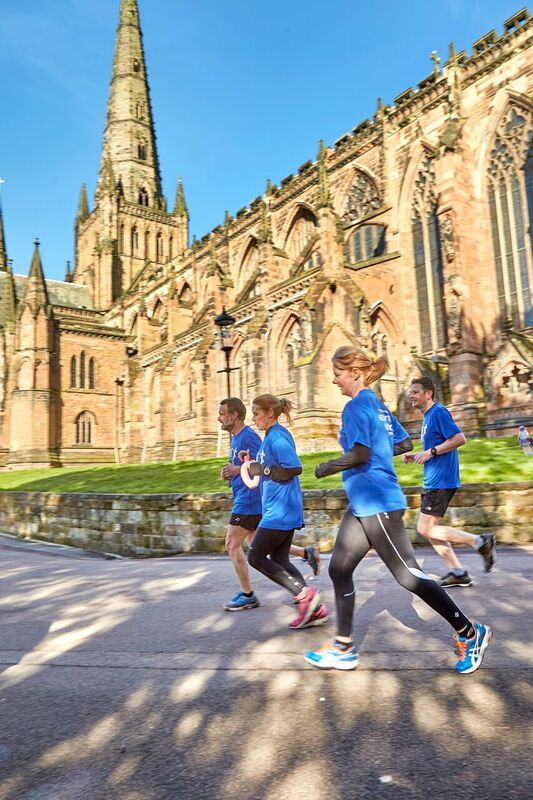 The Cathedral to Castle Run was the first event to be organised jointly by the Rotary clubs of Tamworth, Tamworth Anker, Lichfield and Lichfield St Chad, who together raised sponsorship from businesses to help cover the costs of the event and ensure that profits are donated to the local charities nominated by each club. Runners were also invited to raise additional sponsorship money for charities of their choice. 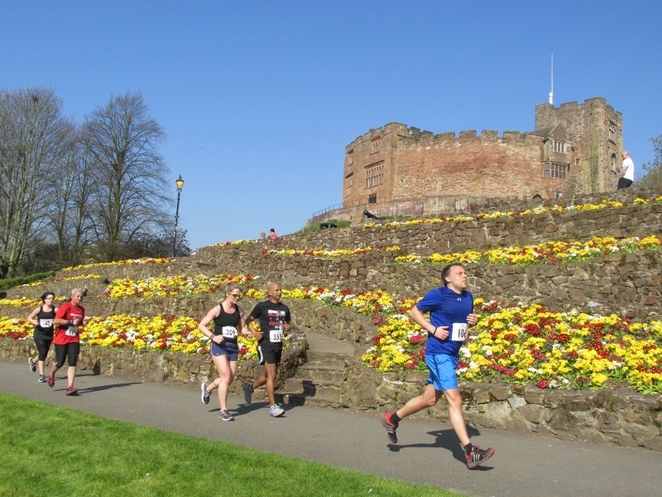 Kyle Raffo, Tamworth Rotary Club member and race director for the Cathedral to Castle Run, said: "So much time and effort went into organising this event. 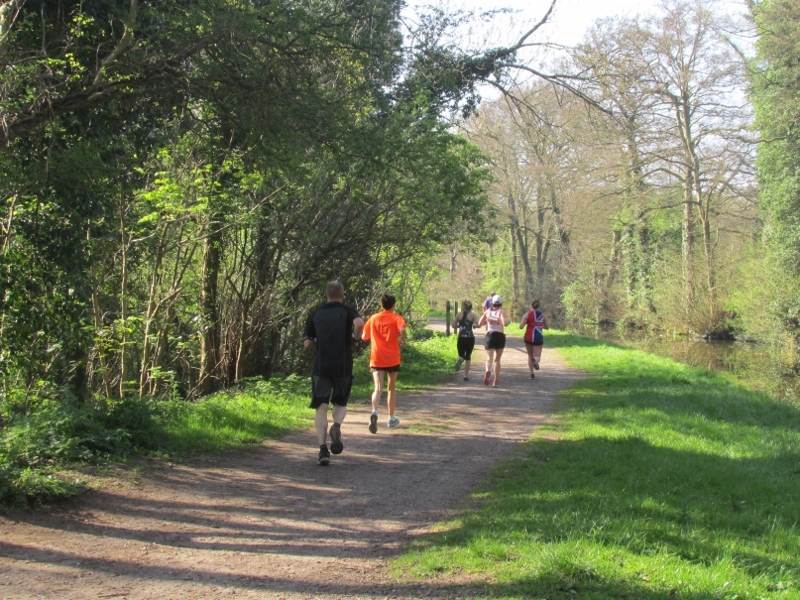 It has been a major undertaking, from getting the route mapped out and approved to managing the hundreds of runners and volunteers who took part on the day. Hopefully the day has raised thousands of pounds for charity and will now become a well-known annual event." More information for participants is available online.